Baños Ecuador is very popular with tourists for several reasons. 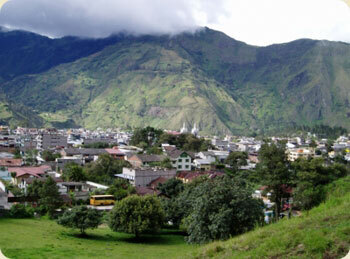 The natural beauty of this little town found next door to the Tungurahua Volcano make it highly attractive. Beautiful waterfalls pouring into deep river gorges are surrounded by lush vegetation. Many enjoy bike riding, horseback riding, rafting and hiking as a way to enjoy these surroundings. Baños got its name because of the volcano heated thermal pools found here. The pools are thought to have curative properties and are a nice way to relax. 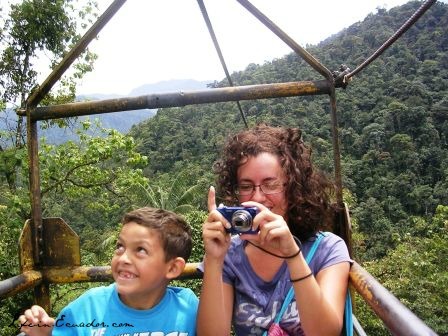 Read about my most recent trip to Baños....go-karts, waterfalls and more! Check out my Baños photos. Many worry, with good reason, about the proximity of the volcano. In 1999, the whole town was evacuated after increased activity. 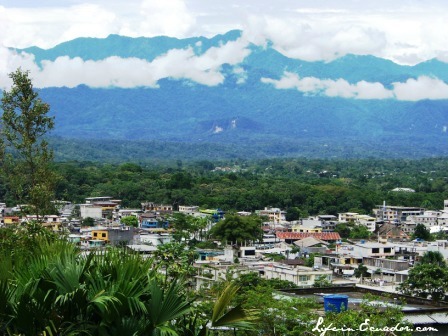 In the end nothing came of it and Baños is once again a bustling tourist town. 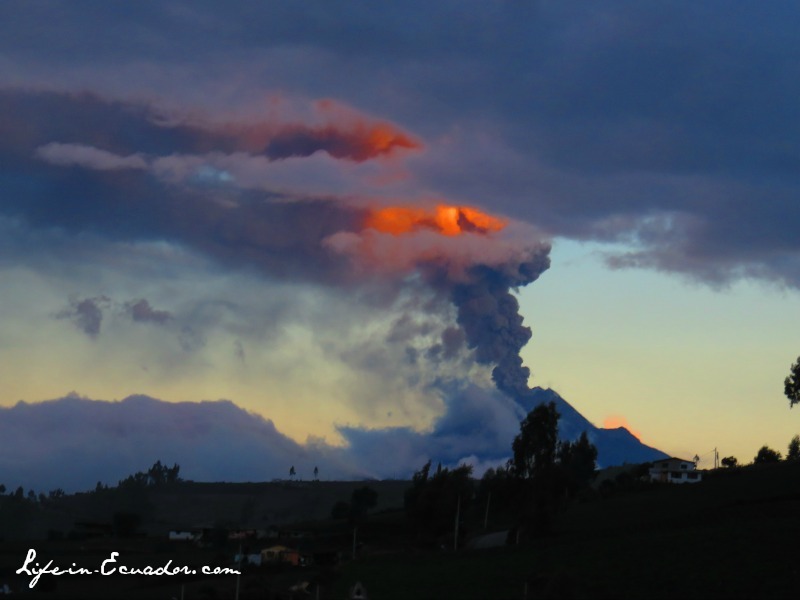 Because of the town's importance as a tourist attraction, the Ecuadorian government keeps a close eye on the volcanic activity. Another evacuation took place in 2006 and if there is ever a reason to evacuate again, there's no doubt that it would be carried out swiftly. The locals seem to have grown used to the ash that rains down on their town from time to time and go on with normal life. The crater of the volcano actually points away from Baños and it is more of a gushing volcano rather than the exploding type. Back in 1999, when Baños was evacuated, many worried businessmen in the area decided their best option was to sell. Hotels were put up for sale at CRAZY prices. My dad actually considered buying one of these hotels. The chances of loosing everything was just slightly higher than the chance that the storm would pass with no damage to the town. So my dad weighed the risks and we didn't get our very own hotel. Looking back now, maybe we should have risked it. Things are alive and well, with only a layer of ash to show for those months of danger. Those deals were really once in a lifetime opportunities. But it's ok, we still enjoy what Baños has to offer. The Pailon del Diablo waterfall. One of my favorite waterfalls in all Ecuador! This waterfall is found on the road between Baños and Puyo. You can rent a bike or go-kart and ride to this and other falls or catch a bus or taxi. For reviews of Baños hotels click here. The Casa del Arbol is now at the top of my list of things to do in Baños. This tree house has great views of the volcano on a clear day and the swing is fun for the whole family! Check out one the many Thermal Bath facilities in town. The exhilarating rush of standing under cold waterfalls and then plunging into the warm pools can be very refreshing. Tagua shops. 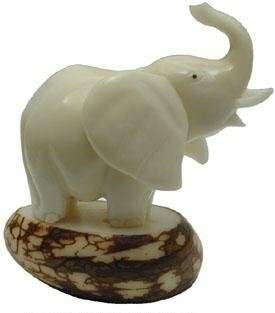 Several great shops sell tagua (vegetable ivory) figurines. These beautiful little statues make great gifts for friends and family back home. You can even watch some of the artisans as the work with tagua. 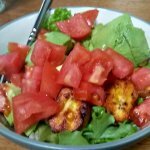 There is also a variety of great restaurants. Due to the high tourist concentration, you can find many different foods from around the world. Plus, Ecuadorian delicacies such as cuy (guinea pig) and melcocha (hand made taffy) made right on the street. For those who love to hike, there are several trails around Baños. My dad likes to go early in the morning when there sky tends to be clear and you can see the sunrise as it comes up over the volcano.